In public and private schools, students take math courses on one track and science courses on another. They will not be asked to use their math to solve science problems until they reach high school chemistry. Then, SURPRISE! Suddenly there is a heavy burden of problems placed on them at the moment they are grasping to understand an abstract subject. Half of the students will be lost from the sciences while the other half will struggle to remain. Few will excel. 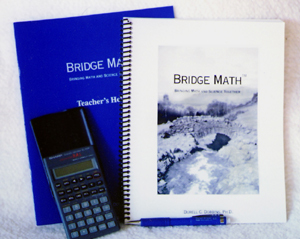 Bridge Math is a 7-week short course designed to teach students the applications of math that they have neither learned nor practiced. After Bridge Math they will excel in high school science, because they will be properly prepared for it. 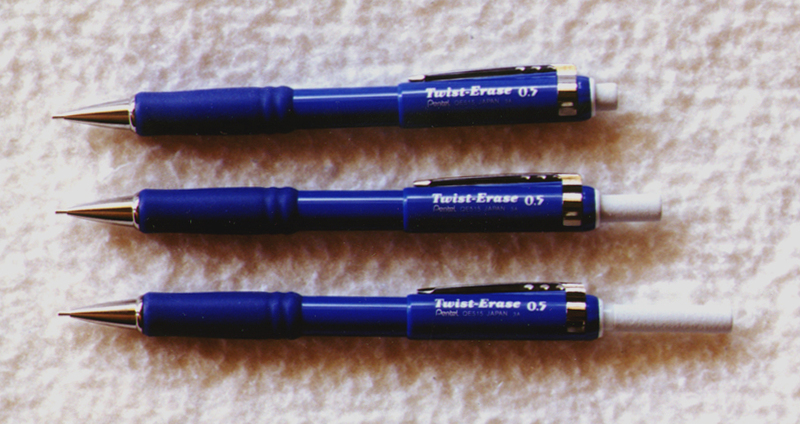 “How am I ever going to use this stuff?” Do you remember those years of doing math problems without knowing why you were doing them? In this course, students will learn when and why different math tools will be used. While the course discusses the topics of geometry, trigonometry and calculus, the only prerequisite for Bridge Math is Algebra I. Most of the math problems encountered by scientists every day can be solved using the techniques taught in this course along with arithmetic and basic algebra. 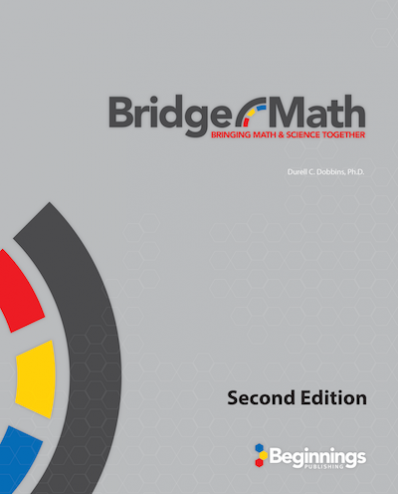 “Why take Bridge Math?” Students educated under the traditional system are poorly prepared for the type of problem solving that will be required of them in high school science courses. High school graduates who have avoided upper level sciences will be poorly versed in the type of problem solving that is so useful in everyday life. These skills can make all the difference in a graduate’s professional advancement and decision-making abilities. Bridge Math provides the missing content. 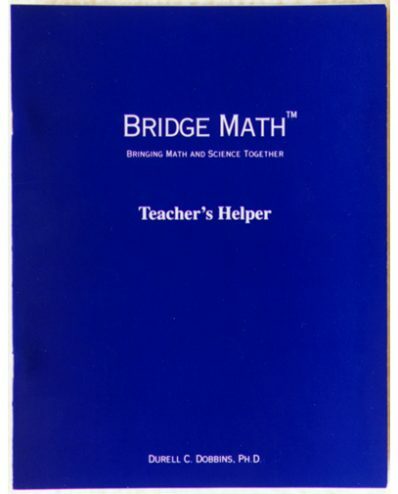 “Who will benefit from Bridge Math?” Bridge Math is for any student who wishes to learn to solve practical problems using the math tools and skills acquired since grade school. It is strongly recommended for anyone who will take a high school course in chemistry or physics or any course in The Spectrum high school science series by Beginnings Publishing House. Sample lessons can be downloaded as a pdf or printed. © 2019 Beginnings Publishing, All Rights Reserved.